One of the oldest tea gardens in Darjeeling, Happy Valley Tea Estate was established in 1854. Some of its tea bushes are well over 100 years old. Several years ago the garden began the transition from conventional to organic growing, and now it has both organic and biodynamic certifications. 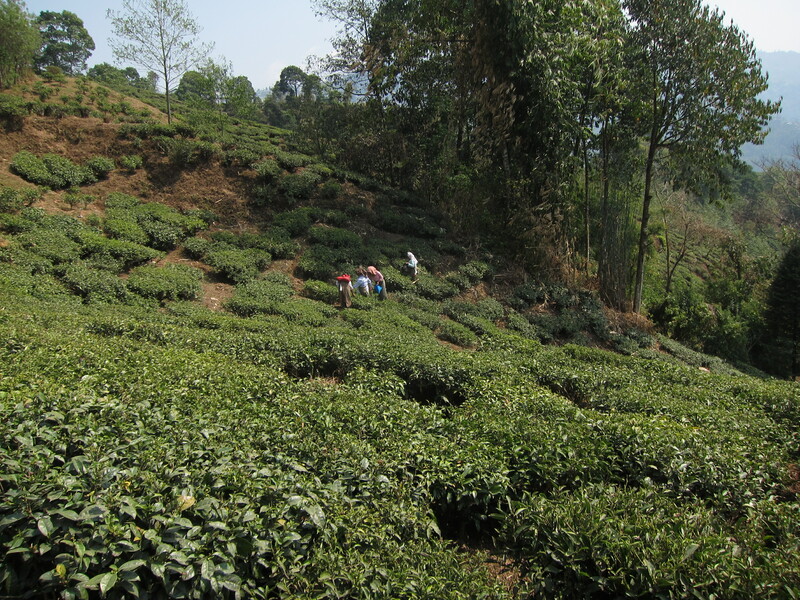 Happy Valley Tea Estate has implemented organic and biodynamic growing practices. 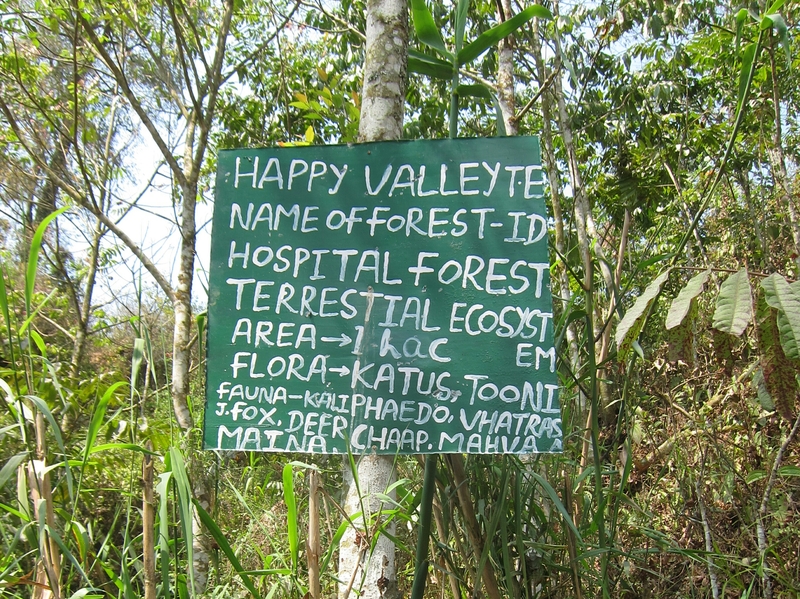 Happy Valley is about a half hour walk from Chowrasta, the main square in the town of Darjeeling. 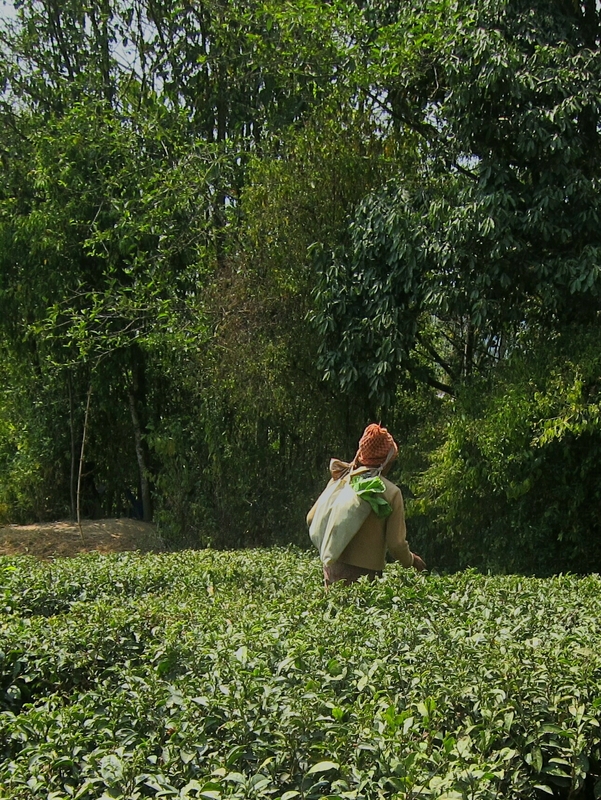 Of the 87 Darjeeling tea gardens, it is the closest to the town. It’s a relatively high tea garden, at over 2000 meters elevation. High-grown teas grow more slowly but are known to have richer and more nuanced flavors than tea grown at lower elevations. 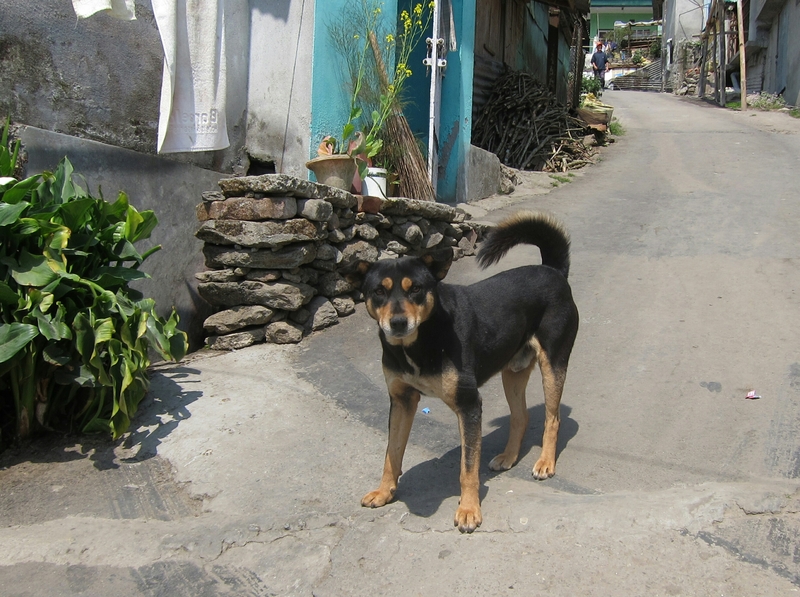 Village dog, Happy Valley Tea Estate. I was hoping to experience these flavors by sampling some of this year’s first flush tea at Happy Valley. I went there twice but was disappointed each time. On the first visit, I got a free tour of the tea processing factory (photos prohibited), but they had not yet started plucking tea. On the second visit, the factory was operational and they were processing tea. But they told me the production was very minimal and were not yet offering any tea for sale in their shop adjacent to the factory. 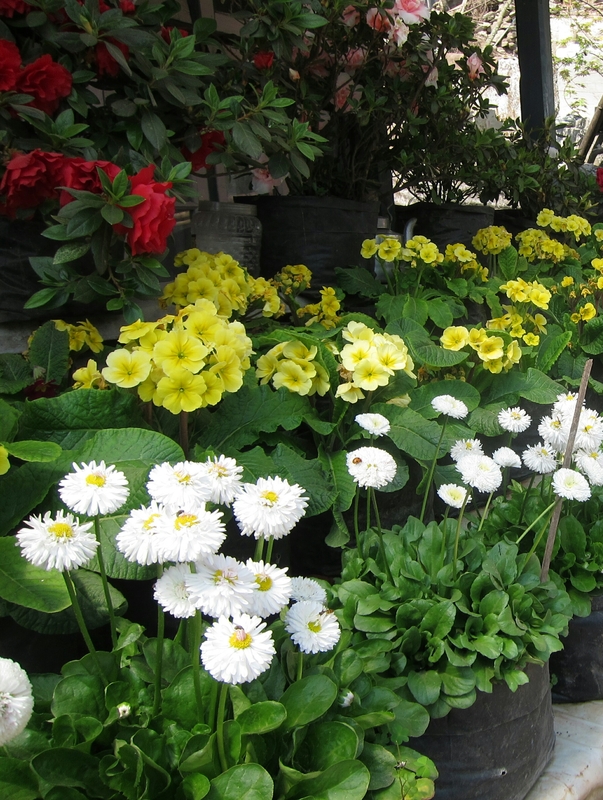 Flowers in front of village home at Happy Valley Tea Estate. So instead of sampling tea I walked about the estate, passing through the villages where the tea workers lived. Around the bends in the road going downhill I met a few local dogs and saw some small houses with pleasant flower gardens. After getting directions from villagers who spoke English I finally spotted a few women plucking tea on the slopes. Then I made the steep uphill climb back into the town. Tea pluckers at Happy Valley Tea Estate. Tea plucker, Happy Valley Tea Estate. Glad you’re having a good time. We miss you!